For other uses, see Groat. The name has also been applied to any thick or large coin, such as the Groschen (grosso), a silver coin issued by Tyrol in 1271 and Venice in the 13th century, which was the first of this general size to circulate in the Holy Roman Empire and other parts of Europe. The immediate ancestor to the groat was the French gros tournois or groat of Tours, which was known as the groot (Dutch for "great" or "large") in the Netherlands. The name groat also refers to a range of other European coins such as those of the Italian peninsula known as a grosso including the grosso of Venice and the Kraków grosz. Marco Polo referred to the groat in recounts of his travels to East Asia when describing the currencies of the Yuan Empire. His descriptions were based on the conversion of 1 bezant = 20 groats = ​133 1⁄3 tornesel. ++DAVID x REX x SCOTORVm Crowned bust left holding sceptre before; star at base of sceptre Outer circle: +DNS PTECTOR MS F LIBATOR MS - inner circle: VILL A ED InBV RGh Long cross quartered with of five points mullets. AR Groat (3.11 g). Light coinage, 1367-1371. Edinburgh mint. Henry VIII minted these Irish groats, crowned coat-of-arms over cross fourchee; mm: trefoil FRAnCIE ET hIBERnIE REX, crowned harp; crowned h and crowned R flanking (henricus Rex). AR Groat (25 mm, 2.32 g, 12h). Second harp issue, as king of Ireland, 1541-1542. London mint (exported). It was after the French silver coin had circulated in England that an English groat was first minted under King Edward I.
Scots groats were not issued until the reign of David II. Scots groats were originally also worth fourpence, but later issues were valued at eightpence and a shilling. Irish groats were minted first in 1425 and the last ones were minted under the reign of Elizabeth I of England. There were also two more issues, both emergency coinage. While strictly speaking, the English groat should have contained four pennyweights or 96 grains (6.2 grams) of sterling silver, the first ones issued weighed 89 grains (5.8 g) and later issues became progressively lighter. The weight was reduced to 72 grains (three pennyweights or 4.7 g) under Edward III, 60 grains (3.9 g) under Henry IV, and 48 grains (3.1 g) under Edward IV. From 1544 to 1560 (the weight being reduced to 32 grains (2.1 g) in 1559) the silver fineness was less than sterling, and after the 1561 issue they were not generally issued for circulation again for about a hundred years. From the reigns of Charles II to George III, groats (by now often known as fourpences) were issued on an irregular basis for general circulation, the only years of mintage after 1786 being in 1792, 1795, and 1800. After this the only circulating issues were from 1836 to 1855, with proofs known from 1857 and 1862, and a colonial issue of 1888. These last coins had the weight further reduced to about 27 grains (1.9 grams) and were the same diameter as the silver threepenny pieces of the day although thicker. They also had Britannia on the reverse, while all other silver fourpenny pieces since the reign of William and Mary have had a crowned numeral "4" as the reverse, including the silver fourpenny Maundy money coins of the present. Some groats continued to circulate in Scotland until the 20th century. At times in the past, silver twopenny coins have been called "half-groats". The groat ceased to be minted in the United Kingdom in 1856, but in 1888 a special request was made for a colonial variety to be minted for use in British Guiana and the British West Indies. The groat remained in circulation in British Guiana right up until that territory adopted the decimal system in 1955. In the 1600s and 1700s, chaplains were employed in English Navy ships of war by the captain, and paid out of a groat per month deducted from the wages of the seamen. The Navy's wages did not rise between 1653 and 1797 (see Spithead and Nore mutinies), during which time the ordinary seaman was paid 19 shillings, as was the chaplain. The word "groat" has entered into a number of English and Scottish expressions, many of them now archaic. In the north of England, there is the saying "Blood without groats is nothing" meaning "family without fortune is worthless." The allusion is to black pudding, which consists chiefly of blood and oats formed into a sausage and cut into slices. "Not worth a groat" is an old saying meaning "not worth a penny", i.e. worthless. He that spends a groat a day idly, spends idly above six pounds a year. Riddle me, riddle me, rot-tot-tote! A little wee man in a red red coat! A staff in his hand, and a stone in his throat; If you'll tell me this riddle, I'll give you a groat. The answer is "a cherry." And Mistress Jemima's father gives them each a silver groat to hold the stool down under the foul green water for a long time, to see if I'd choke on it. so called from Joseph Hume, M.P., who strongly recommended the coinage for the sake of paying short cab-fares, etc. This refers to the Victorian fourpenny piece. The mention of cab fares is related to the fact that the standard minimum was fourpence, so many passengers paid with a sixpenny piece, allowing the cabbie to keep the twopence change as a tip. The slang name "Joey" was transferred to the silver threepenny pieces in use in the first third of the twentieth century. In A Little Princess by Frances Hodgson Burnett, Sara Crewe picks up a fourpenny piece from the street and uses it to buy buns. The original story was set in 1888. John o' Groats, a place name in the north of Scotland, is not derived from "groat" but is a corruption of "Jan de Groot", the name of a Dutchman who migrated there in the reign of James IV. The monetary unit of Federation, the forerunner of the currently active Federation II text-based roleplaying game, was the groat. Terry Pratchett's first book in the Moist von Lipwig series of novels, Going Postal, introduced a supporting character named Tolliver Groat. As Anne Boleyn is being crowned in the film Anne of the Thousand Days, the gathered crowd give her a negative reception. Thomas Cromwell asks Thomas Boleyn: "How much did you pay them to cheer? ", to which he responds: "A groat each". Although not used in the monetary system of his fictional world of Westeros, author George R. R. Martin uses the term to refer to things of little worth in his series, A Song of Ice and Fire. For example, in the fourth book, A Feast for Crows, Cersei Lannister, in reference to Margaery Tyrell, thinks: "For half a groat she would have slapped the blushing bride right there upon the dais, in view of half the court." Groats are the currency in the 1992 game Lure of the Temptress, and were used by the common folk of the town Turnvale. ^ Christopher Lloyd (1970). "The Early Stuart Mariner". The British seaman 1200–1860: a social survey. Associated University Presses. pp. 69, 249. Accessed 12 July 2011. ^ "A Cherry / mp3 midi free download beach motel Sechelt bed breakfast". ^ "Brewer, E. Cobham. Dictionary of Phrase & Fable. John o'Groat". ^ "The History of John O'Groats - Visit John O'Groats". 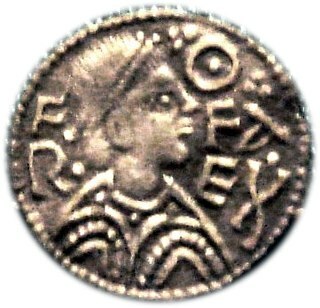 Wikimedia Commons has media related to Groat. "Groat" . Encyclopedia Americana. 1920. Dollar is the name of more than 20 currencies, including those of Australia, Canada, Hong Kong, Jamaica, Liberia, Namibia, New Zealand, Singapore, Taiwan, and the United States. The U.S. dollar is also the official currency of the Caribbean Netherlands, East Timor, Ecuador, El Salvador, the Federated States of Micronesia, the Marshall Islands, Palau, and Zimbabwe. One dollar is generally divided into 100 cents. 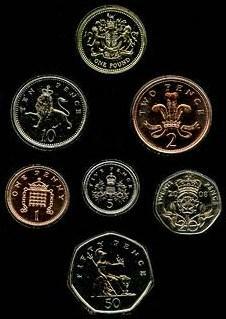 A penny is a coin or a unit of currency in various countries. Borrowed from the Carolingian denarius, it is usually the smallest denomination within a currency system. Presently, it is the formal name of the British penny (abbr. p) and the informal name of one American cent (abbr. ¢) as well as the informal Irish designation of 1 cent euro coin (abbr. c). It is the informal name of the cent unit of account in Canada, although one cent coins are no longer minted there. The name is also used in reference to various historical currencies also derived from the Carolingian system, such as the French denier and the German pfennig. It may also be informally used to refer to any similar smallest-denomination coin, such as the euro cent or Chinese fen. The Unite was the second English gold coin with a value of twenty shillings or one pound first produced during the reign of King James I. It was named after the legends on the coin indicating the king's intention of uniting his two kingdoms of England and Scotland. The unite was valued at twenty shillings until 1612 when the increase in the value of gold throughout Europe caused it to be raised to twenty-two shillings. The coin was produced during James I's second coinage (1604–1619), and it was replaced in the third coinage by the Laurel worth twenty shillings. All the coins were produced at the Tower Mint in London. The pound Scots was the unit of currency in the Kingdom of Scotland before the kingdom unified with the Kingdom of England in 1707. It was introduced by David I, in the 12th century, on the model of English and French money, divided into 20 shillings, each of 12 pence. The Scottish currency was later debased relative to sterling and, by the time of James III, the pound sterling was valued at four pounds Scots. The Jamaican pound was the official currency of Jamaica between 1840 and 1969. It circulated as a mixture of British currency and local issues and was always equal to the British pound. The Jamaican pound was also used by the Cayman Islands and Turks and Caicos Islands. Gun money was an issue of coins made by the forces of James II during the Williamite War in Ireland between 1689 and 1691. They were minted in base metal, and were designed to be redeemed for silver coins following a victory by James II and consequently bore the date in months to allow a gradual replacement. As James lost the war, that replacement never took place, although the coins were allowed to circulate at much reduced values before the copper coinage was resumed. They were mostly withdrawn from circulation in the early 18th century. The pre-decimal fourpence (4d), sometimes known as a groat or fourpenny bit, was a coin worth one sixtieth of a pound sterling, or four pence. The coin was also known as a joey after the MP Joseph Hume, who spoke in favour of its introduction. It was a revival of the pre-Union coin. The Lord Baltimore penny is the first copper coin circulated in America. It, along with three silver coins, were made as a set specifically for Cecil Calvert, 2nd Baron Baltimore. They were made for the Province of Maryland to be circulated in the Thirteen Colonies.